Charles Hermite – French mathematician. A French mathematician whose work in the theory of functions includes the application of elliptic functions to provide the first solution to the general equation of the fifth degree, the quintic equation, Charles Hermite was born in Dieuze, Moselle, on 24 December 1822, with a deformity in his right foot that would impair his gait throughout his life. Hermite polynomials, Hermite interpolation, Hermite normal form, Hermitian operators, and cubic Hermite splines are named in his honor. One of his students was Henri Poincaré. Hermite was the first to prove that e, the base of natural logarithms, is a transcendental number. His methods were used later by Ferdinand von Lindemann to prove that π is transcendental. From the very beginning, Hermite was more interested in advanced studies than in his curriculum, publishing two important papers while he was still in his secondary school. Later, he entered École Polytechnique to study mathematics but because of a deformity in his right feet, which required him to use a cane, he had to leave the academy the following year. He studied privately for five years and earned his baccalauréat and license at the age of twenty-four. Meanwhile, he started corresponding with eminent mathematicians, writing down his discoveries in the letters. Indeed, in spite of his phenomenal researches, he had few publications to his credit; circulating most his discoveries through letters, short notes and course lectures, which formed the basis of further research by other mathematicians. He was also a grand teacher, being appointed a professor of analysis both in École Polytechnique and Sorbonne. In spite of his deformity, he was always in a happy mood, dividing his time between his family, teaching, and research. A French mathematician, Charles Hermite (French pronunciation: ​ʃaʁl ɛʁˈmit), was born on December 22, 1822, in Dieuze, located in north-eastern France. His father, Ferdinand Hermite, was an engineer by education, but an artist by inclination. Before his marriage to Madeleine nee Lalleman, he briefly worked in a salt pit, later looking after his in-law’s draping business. Ferdinand and Madelein had seven children, out of which Charles was born sixth. He had four brother and two sisters. Charles was born with a defect in his right foot, which hampered his movement. The deformity greatly worried his parents because they knew it would get in the way of his career later in life. But having a happy disposition, Charles bore it quite cheerfully. Hermite obtained his secondary education at Collège de Nancy and then, in Paris, at Collège Henri IV, and at the Lycée Louis-le-Grand. He read some of Joseph-Louis Lagrange’s writings on the solution of numerical equations and Carl Friedrich Gauss’s publications on number theory. Hermite wanted to take his higher education at École Polytechnique, a military academy renowned for excellence in mathematics, science, and engineering. Tutored by mathematician Eugène Charles Catalan, Hermite devoted a year to prepare for the notoriously difficult entrance examination. In 1841-1842, in order to prepare himself for the entrance examination at École Polytechnique, he began to study with Eugène Charles Catalan. Concurrently, he also began original research in mathematics, writing his first published work, which appeared in the Nouvelles Annales de Mathématiques, a French mathematical journal, in 1842. In 1842, Hermite appeared for the entrance test for École Polytechnique. But, because of his extracurricular studies, he barely passed his examination and attained a 68th place in the list. He joined the institution in the same year. At École Polytechnique too, he began to pay more attention to extracurricular studies, concentrating on Abelian functions, which was of great interest to the European mathematicians of that time. 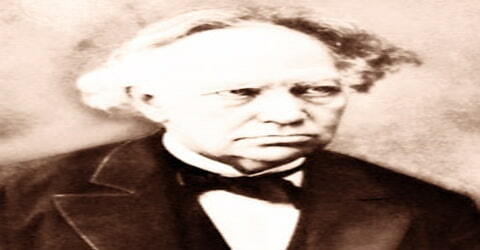 It somehow led to his acquaintance to Joseph Louisville, a well-known mathematician. In 1842, Nouvelles Annales de Mathématiques published Hermite’s his first original contribution to mathematics, a simple proof of Niels Abel’s proposition of concerning the impossibility of an algebraic solution to equations of the fifth degree. A correspondence with Carl Jacobi, a German mathematician, begun in 1843 and continued the next year, resulted in the insertion, in the complete edition of Jacobi’s works, of two articles by Hermite, one concerning the extension to Abelian functions of one of the theorems of Abel on elliptic functions, and the other concerning the transformation of elliptic functions. In the first letter to Jacobi, Hermite wrote about his work on Abel’s theorem. In his second letter, written in August 1844, he wrote about the transformation of elliptic functions. The other four letters were on number theory. Jacobi was so impressed by these works that he used extracts from these letters, inserting them not only in his own ‘Opuscula’ but also in Crelle’s Journal. During this period, Hermite also worked with Joseph Liouville, contributing significantly to Liouville’s works. Charles Hermite married Louise Pauline Arsène Bertrand, sister of fellow mathematician Joseph Louis François Bertrand, in 1848. Together, they had two daughters, Isabelle Caroline Ferdinande Forestier nee Hermite, and Marie Picard nee Hermite. In 1856, Hermite contracted smallpox. During this ailment, Augustin-Louis Cauchy provided him strong moral support. Under his influence, Hermite returned to Roman Catholic fold and became royalist, a belief he held until the very end. 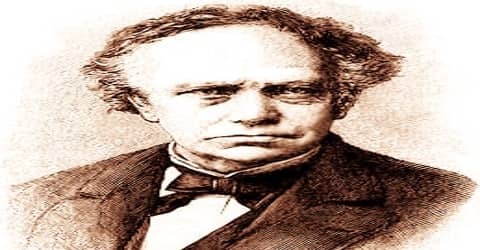 Charles Hermite had proved himself a creative mathematician at the age of 20, his difficulty in passing his formal examinations forced him to devote five of his most productive years to preparing for his examination for the Bachelor of Science degree, which he obtained in 1848. He was given a minor teaching position at the École Polytechnique, Paris, before being appointed to the Collège de France, Paris, in the same year. It was not until 1869, with his appointment as professor at the École Normale, Paris, that he attained a position commensurate with his ability. In 1870 he became a professor of higher algebra at the Sorbonne. In the same year, he proved that doubly periodic functions can be represented as quotients of periodic entire functions. In 1849, Hermite submitted a memoir to the Académie des Sciences, in which he applied the residue techniques discovered by Augustin-Louis Cauchy to doubly periodic functions. While both Cauchy and Charles-François Sturm gave a good report, it could not be published because of a priority dispute with Liouville. From the early 1850s, Hermite started working on the theory of quadratic forms, for which he had to study invariant theory. While doing so, he discovered a reciprocity law concerning binary forms, finally creating a theory of transformations in 1855. In the same year, he published ‘Sur quelques applications des fonctions elliptiques’. In 1856 Hermite contracted smallpox. Through the influence of Augustin-Louis Cauchy and of a nun who nursed him, he resumed the practice of his Catholic faith. On 14 July 1856, he was elected a member of the Académie des Sciences, receiving forty out of forty-eight votes. 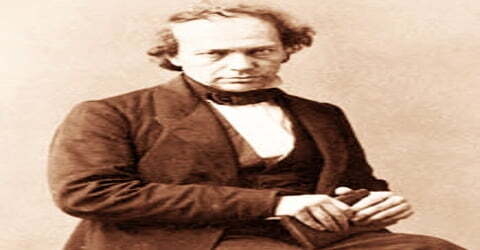 In 1858, Hermite showed that one could solve an algebraic equation of the fifth degree by using elliptic functions. It is one of his most important works, making him rightly famous. In 1862, through Pasteur’s influence, a position of maître de conférence was created for Hermite at the École Polytechnique; in 1863 he became an examinateur de sortie et de classement there. 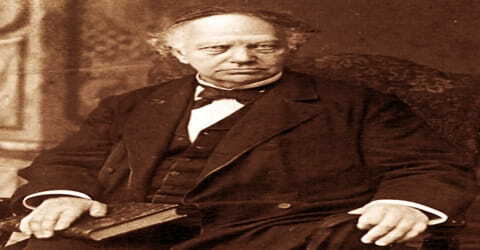 He occupied that position until 1869 when he took over J. M. C. Duhamel’s chair as professor of analysis at the École Polytechnique and at the Faculté des Sciences, first in algebra and later in the analysis as well. His textbooks in analysis became classics, famous even outside France. He resigned his chair at the École Polytechnique in 1876 and at the Faculté in 1897. He was an honorary member of a great many academies and learned societies, and he was awarded many decorations. Hermite’s seventieth birthday gave scientific Europe the opportunity to pay homage in a way accorded very few mathematicians. In the 1870s, Hermite once again started working on problems, relating to approximation and interpolation. In 1873, he proved that ‘e’ is a transcendental number. In the same year, he also published his second major book, ‘Cours d’Analyse de l’École Polytechnique Première Partie’. Continuing to work, he made many discoveries, which though minor in nature, laid the foundation of further research by other mathematicians. For example, by adapting Hermite’s proof that ‘e’ is a transcendental number, Felix Lindemann, a mathematician, obtained the transcendence of π in 1882. It is a fact that Hermite’s contribution to mathematics is more than what meets the eyes. That is mainly because he had a habit of disseminating his discoveries through letters, short notes, and courses. His important original contributions to pure mathematics, published in the major mathematical journals of the world, dealt chiefly with Abelian and elliptic functions and the theory of numbers. During 1858 he solved the equation of the fifth degree by elliptic functions; and during 1873 he proved e, the base of the natural system of logarithms, to be transcendental. This last was used by Ferdinand von Lindemann to prove during 1882 the same for π. Meanwhile, Hermite turned to number theory. For definite quadratic forms with integral coefficients, Gauss had introduced the notion of equivalence by means of unimodular integral linear transformations; by a reduction process, he had proved for two and three variables that, given the determinant, the class number is finite. Hermite generalized the procedure and proved the same for an arbitrary number of variables. He applied this result to algebraic numbers to prove that given the discriminant of a number field, the number of norm forms is finite. By the same method, he obtained the finiteness of a basis of units, not knowing that Dirichlet had already determined the size of the basis. Finally, he extended the theorem of the finiteness of the class number to indefinite quadratic forms, and he proved that the subgroup of unimodular integral transformations leaving such a form-invariant is finitely generated. In addition to his research works, Hermite continued to teach, publishing ‘Cours professé à la Faculté des Sciences’ in 1891. This is his last work to be published during his lifetime, with ‘Correspondance’ being published posthumously in 1905. On 14 July 1856, Charles Hermite was elected to the Académie des Sciences in Paris. In 1892, upon his 70th birthday, Hermite was promoted grand officer of the Legion of Honour. Charles Hermite officially retired from work in 1897. He died around three years later on 14 January 1901 in Paris, at the age of 78. A number of mathematical entities such as Hermite polynomials, Hermite’s differential equation, Hermite’s formula of interpolation and Hermitian matrices continue to carry his legacy. Hermite was a major figure in the development of the theory of algebraic forms, the arithmetical theory of quadratic forms, and the theories of elliptic and Abelian functions. He first studied the representation of integers in what is now called Hermitian forms. His famous solution of the general quintic equation appeared in Sur la résolution de l’équation du cinquième degré (1858; “On the Solution of the Equation of the Fifth Degree”). Many late 19th-century mathematicians first gained recognition for their work largely through the encouragement and publicity supplied by Hermite. An inspiring teacher, Hermite strove to cultivate admiration for simple beauty and discourage rigorous minutiae. His correspondence with Thomas Stieltjes testifies to the great aid he gave those beginning scientific life. His published courses of lectures have exercised a great influence. Henri Poincaré, one of Hermite’s best-known students, wrote about him, “But to call Hermite a logician! Nothing can appear to me more contrary to the truth. Methods always seemed to be born in his mind in some mysterious way”.